Let’s face it. The Dreamcast will not die. Sega’s little white box just refuses to give up the fight. 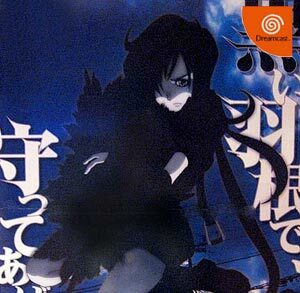 Japanese publisher Milestone is bringing yet another interesting 2D shooter to the Dreamcast in the form of Karous (official site) and will have a release date of March 8th, 2007. Karous looks like it is similar to other Milestone shooters such as Radigy/Radio Alergy and Chaos Field. It uses many of the same gameplay mechanics of both games, but also features some of the cell-shading style for Radio Allergy. This announcement comes hot on the heels of the news of a Dreamcast port of Triggerheart Excelia from Warashi. Must be that these late Dreamcast releases are still selling well in the import shops. Shooter fans are already in heaven due to the Dreamcast’s steller shooter library and don’t seem to want to miss an installment. I’m still digging up info on the game and will update this post when I get things together. where the heck is that picture from? Doesn’t look like it’s from karous. There’s a very simple explanation for so many shmups in DC, the NAOMI board is very widespread in Japan so arcade operators don’t have to buy new hardware, just the game disk, that makes aquisition of new games very cheap when compared with newer boards like Taito Type X for example. For that reasons NAOMI gets more games from these small companies since they’ll sell better due to the low prices, it’s good for the operators and for the developers. We will stop seeing new DC shmups when other newer boards get more widespread than NAOMI, ’till then it’s slug fest for us DC owners. The art picture that Racketboy has in the article looks to be from Mushihime. I don’t think its from Karous. ok — I’m not sure what happened with the artwork, but I changed it. “Let’s face it. The Dreamcast will not die. Sega’s little white box just refuses to give up the fight.” Pretty ironic considering this was the last game released for the Dreamcast. I haven’t played it yet, but I have heard the soundtrack, and it’s a stellar slice of drum’n’bass. This isn’t the last game for Dreamcast. Why does everyone get all worked up about what the Dreamcast’s last game will be? Other game’s are always being produced/ported to the system so don’t be so quick to jump on the ‘LAST GAME!1!11’ bandwagon. Remember, Dux and Wind and Water Puzzle Battles are much newer than this is now.